In 2004 bass player Khorus left his previous band ASTROFAES to found the new one. Drummer Khaoth (TESSARACT, ex- ASTROFAES, ex- HATE FOREST) was invited in summer the same year and later guitarist vocalist Helg from RUNES OF DIANCEHT joined the band. 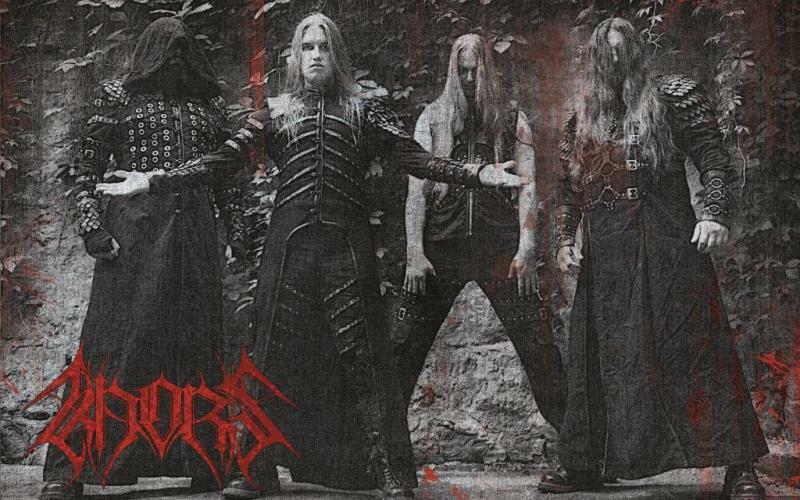 August of 2004 considered the birthday of a new band named KHORS. After some months of rehearsals, in the end of the year the band entered Audio Alchemia Studio for debut album recording. 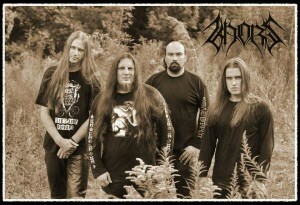 Recording of debut album entitled “The Flame of Eternity’s Decline” was over in the beginning of 2005. Keyboardist Saturious and guitarist Wortherax helped during the recording process with writing keyboards and lead guitar parts accordingly. The album then was mixed and mastered by Michael ‘Maiden’ Smirnov at his Buddha Cat Studio in Moscow, Russia. The album was out on Oriana Music in spring of 2005. Later the same year guitarist Nort from NAGUAL joined the band and concert activity began. In February 2006 the band entered M-Art Studio in Kharkiv to record its second album. Saturious and Wortherax participated as guest musicians again as well as Michael ‘Maiden’ Smirnov who was involved in mixing and mastering just as it was with the debut album. The works on the album were performing at three studios namely M-Art, Audio Alchemia and Buddha Cat. In December 2006 the album entitled “Cold” was out on Oriana Music. In 2007, after series of live shows and rst Ukrainian tour with THELEMA, in late autumn the band entered studio again to record its third album. This time Kyiv based Blacklight Studio has been chosen for that. The recording lasted a little longer this time and was over in summer of 2008 only. At the same period rst band’s LP issue is out – “Cold” album was released by joint efforts of Heidenwut Productions and Ancient Nation Productions. Another one unusual release in the same year was the band’s video bootleg “Cold Ways” issued by Ukrainian label Eclectic Productions. The year 2008 held a number of live performances including appearances on Metal Head’s Mission, Terroraiser, Chaos festivals and a joint tour over Ukraine with FLYING. Searching for a label for the third album entitled “Mysticism” was over with the signing a contract with Paragon Records from USA which issued digipack CD version of “Mysticism” later in December. In spring 2009 a special edition of “Mysticism” record is out on leading Russian label Irond Records exclusively for CIS territories. During 2009 year the band playing a number of live shows in Ukraine, Moldova, Russia and Belarus supporting new album. In the middle of the year rst line-up changes happened – guitarist Nort was replaced by Warth from FACES OF DEATH. In February 2010 the band returned to Blacklight Studio in Kyiv again to launch a new recording process. All work on recording, mixing and mastering lasted 5 month and later, in June the 4th band’s full length entitled “Return To Abandoned” was sent to Paragon Records. Before release of new album, Paragon Records issued a special 2CD expanded edition contained the rst two band’s albums “The Flame of Eternity’s Decline” and “Cold” with a lot of bonus tracks. Another LP release for the band was “The Flame of Eternity’s Decline” vinyl issued by Heidenwut Production. In the middle of the year guitarist/vocalist Helg was compelled to leave the band due to family reasons and was replaced by Jurgis who worked before with FACES OF DEATH and GURGABS. In December 2010 the 4th full-length “Return To Abandoned” was out on Paragon Records and exclusive edition for CIS territories was issued by Russian Irond Records. In spring 2011 another live bootled entitled “Winter Stronghold” was issued by Eclectic Producions. In the middle if 2011 guitarist Warth suddenly left the band and former guitarist Helg returned. In summer the same year, supporting new album the band appeared on Kilkim Zaibu, cult festival in Lithuania and by the end of the year went to its rst European tour together with ANCESTRAL VOLKHVES. In the fall 2011 comes another signicant event in the band’s life — “Return To Abandoned” album was out on legendary Osmose Productions in absolutely exclusive Double LP format. In September the band entered Blacklight Studio again to record their 5th album. In February 2012 the recording of 5th full-length entitled “Wisdom of Centuries” was over. The album became the rst band’s one performed on native tongue. In spring the band signed a contract with Candlelight Records and “Wisdom of Centuries” appeared later in September. The same year live album “Abandoned Leaves” was issued by Eclectic Production on digipack CD and “Mysticism” album was issued on LP by Osmose Productions. Supporting new album the band played a number of live shows including OST festival and Metal Crush Party in Romania, Noc Besov and Pagan fest in Slovakia, Oskorei and Metal Head’s Mission festivals in Ukraine and others. In 2013 the band worked on new songs and live performances. With live shows the band visited Moldova, Poland, Lithuania, Slovakia, Belarus, Netherlands performing on such festivals as Kilkim Zaibu, Black Metal v Noc Kupaly, Gothoom fest, Aurora Infernalis, Uzhgorerotand others. 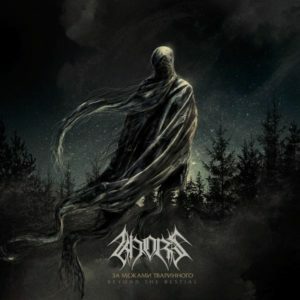 Inthe same year a contract signed with European label Svarga Music regarding re-issue of band’s rst 4 albums, and the rst Svarga’s release for KHORS was out the same year – “Mysticism” record was out on special digipack CD edition. In January the band entered studio for new record session which lasted till the end of summer, due to the hard period of countryside events. On summer the recording process was over and the band appeared at Hell Fast Attack festival in Czech Republic. Later in autumn the band went to Slovak tour together with LUNATIC GODS and SILENT STREAM OF GODLESS ELEGY. In April 2015 the 6th full-length entitled “Night Falls Onto the Fronts of Ours” is out on Candlelight Records. Approximately the same time re-mastered “Cold” album is out on Svarga Music as special digipack CD edition and later in November another one remastered edition is out there as well namely “The Flame of Eternity’s Decline” album. By the end of the year Svarga Music issued “Night Falls Onto the Fronts of Ours” on LP in cooperation with Bloodred Distribution, Gardarika Music, Possession Productions and Fimbulvinter Productions. Supporting new album the band played a many number of shows including Hell Fast Attack, Oskorei, Kyiv Black Mass, Lemberg Black Mass, Dark Troll, Carnival of Souls, Motocultor, Ragnard Rock, Black Sea Metal, Apocalypsa, Gothoom and Carpathian Alliance festivals and Europian tours during which played in France, Switzerland, Germany, Czech Republic, Slovakia, Spain, Belgium, Italy, Moldova, Bulgaria, Bosnia and Herzegovina, Serbia and Hungary.